*Item ships directly from UpNorth Michigan by Threads..
Super soft and just the right weight. 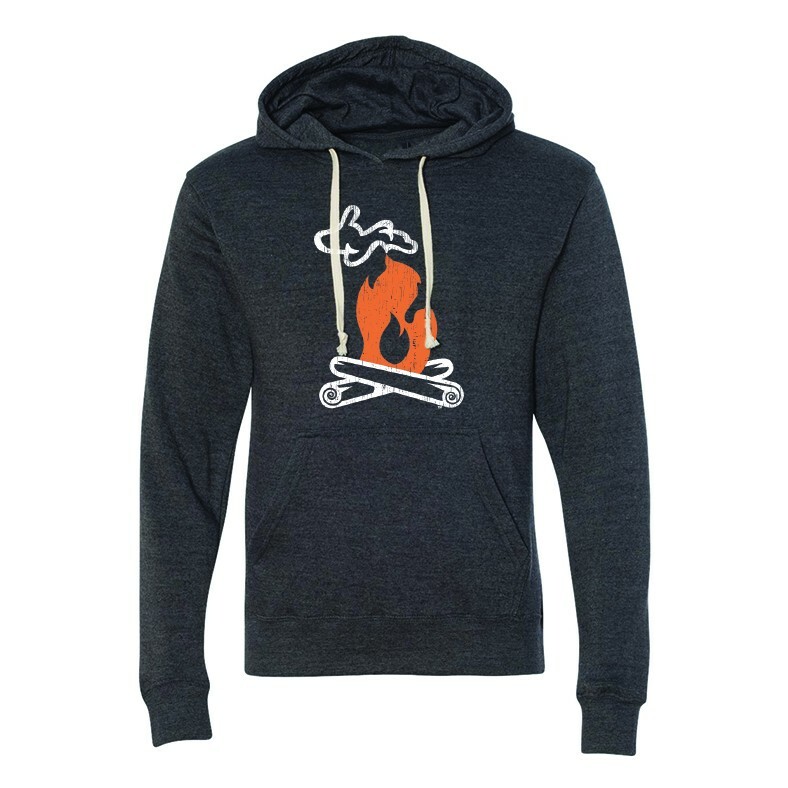 This hooded sweatshirt features UpNorth Michigan Campfire logo on a deep charcoal pullover fleece with a pouch-style pocket and a unique off-white draw cord. It is the perfect weight at a 7.5 ounce blend of 55% cotton, 39% polyester, and 6% rayon. True-to-size unisex fit in XS-2XL.